Get a Sokkia Pro Series Mini Prism Pole Bipod with Thumb Release 808898 for a compact bipod with a quick close pole lock mechanism. It has a height of 26-inches that can be extended up to 36-inches. The Pro Series Mini Bipod's open thumb screw head can hold prism poles ranging in diameter from 0.75-1.5" (19-38mm), one of the widest ranges for similar bipods. State of the art Computer Numerical Control (CNC) lathes, metal bending machinery and software were used to create the Sokkia Pro Series Mini Prism Pole Bipod 808898. You'll also notice the difference of high-quality all-metal construction, including aircraft grade billet anodized aluminum (6061-T6) for the poles. Stainless steel feet. 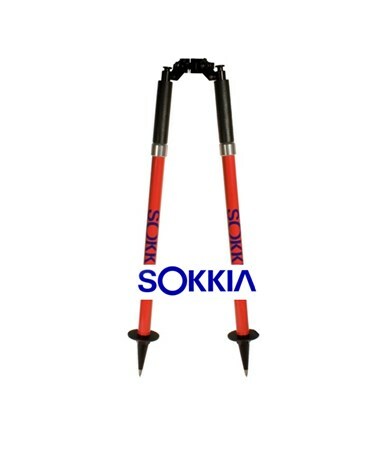 These two materials make the Sokkia Mini Prism Pole Bipod extremely lightweight, and brass adds strength where needed. A red body makes the mini bipod easy to see while working. 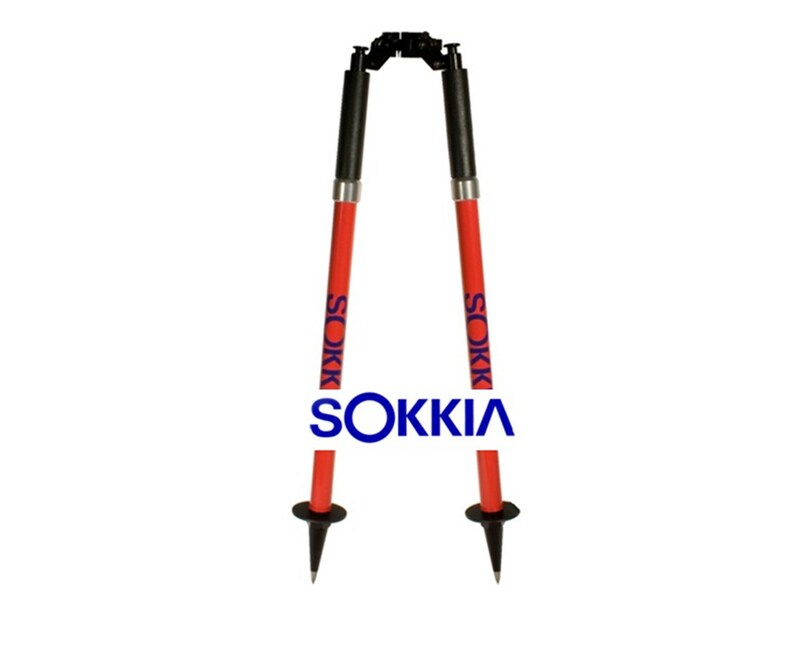 The Sokkia Pro Series Mini Prism Pole Bipod with Thumb Release 808898 offers excellent stability with a wide stance. It also converts easily into a tripod with a third leg (purchase separately), letting you carry one tool instead of two.